The Resident Evil 2 remake One-Shot demo is available now, and it gives players a good half hour to experience the forthcoming release before it drops later this month, along with an exclusive trailer. While that’s not a lot of time to enjoy what it has to offer, it provides a meaty taste of the horror brilliance that’s coming in a few days- and a lot of you really seem to like it. The official Resident Evil game site has opened up a tracker that shows just how many downloads the released demo has worldwide. And since its release, it’s seen over 1.2 million downloads, and will likely top two million before we get to the middle of the week. People really want to play this game, it seems. And keep in mind, this is just from those players that agreed to the RE NET Play Data settings- the number could be much larger than that. Based on the information we snapped a picture of above, the demo is really popular overseas, although the U.S. is in close second with over 243,000 downloads. That said, not everyone is looking to complete the demo. The reported completion rate at this point is around 28 percent, which means that some people don’t make it through to the very end. Perhaps they die before they have a chance to see what’s waiting for them when they get there; or, on the other hand, maybe they’re just goofing off and watching Umbrella-created zombies collapse in a heap of blood and guts, only to crawl around seconds later. It really is something to watch, as you can see in the tweet below. We’ll keep tabs on the demo’s progress over the next few days while it remains available, as Capcom will be taking it offline shortly after the full game’s release later this month. But we wouldn’t be surprised if it became a multi-million seller for the company, leading to the possibility of other remakes. We’d certainly love to see Resident Evil 3: Nemesis get this treatment. And while we’re dreaming...Dino Crisis, maybe? Also, bookmark the Resident Evil page when you get the chance. We’ll be getting some more good info soon. Resident Evil 2’s remake releases on January 25 for Xbox One, PlayStation 4 and PC. 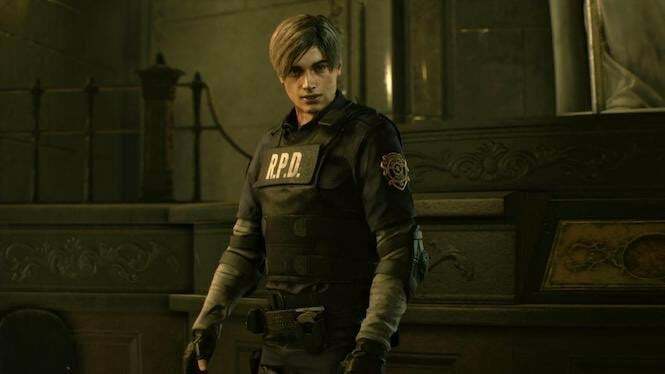 What do you think of Resident Evil 2’s awesome demo? Let me know on Twitter at @TheDCD!